We’re back! With the second Celios couple! Kitty and Tiger, go ahead and introduce yourselves. Forgive Peter's lack of glasses. It's hard to find perfect fan art. Peter: My name’s Peter Hawk-Stryker, but I get called Tiger sometimes. I like technology and mechanics. *adjusts his glasses and runs a hand through his hair* Do I have to do this? Krissy: *smiles* How long have you two been a couple? Peter: It’s been one month, three weeks, and two days since we started dating. Peter: *smiles* I keep track of everything. Jeff: So guys, how did you first meet? Kitty: *smiles* My brother was always mean to me and all his friends... Except for Tiger, he was the only one that actually treated me nicely. Krissy: What did you think of each other when you first met? Peter: *smiles* You were crushing on me since we first met, weren’t you? Peter: *grins and kisses the top of her head* I was like the others at first. But when I really met her, I realized how intelligent and kind she was, and how much she needed protection….that’s what I was. Her protector. Kitty: I was a kitten.. A little kitty cat... He's my tiger. Krissy: Is he ever overly protective? Do you do anything that annoys each other? Peter: *looks down at Kitty* If anything about her annoyed me, I wouldn’t say it. Jeff: do you think your personalities are similar or opposite? Peter: *playing with Kitty’s ponytail* I think we’re pretty different, but not too much. We’re both pretty quiet, and we like technology, but she’s more emotional and I’m more objective. Peter: *nods and smiles* Exactly. Krissy: What would your lives be like without each other? 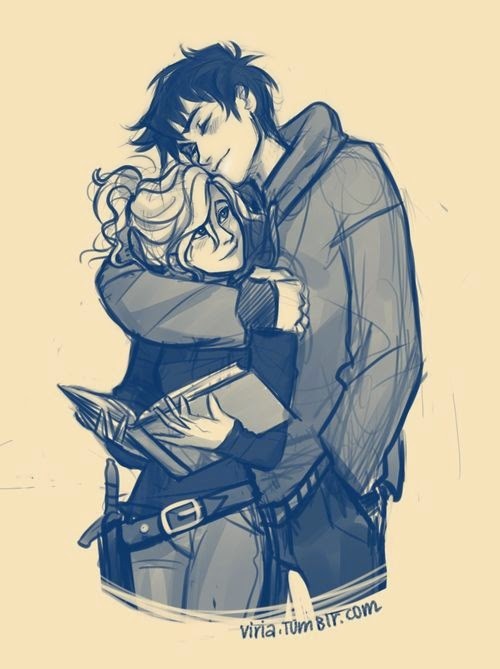 Peter: *protectively tightens his arm around her* Her brother would hurt her. I saved her, sorta. Kitty: He stood up to him... He made him stop. Peter: *smiles* Life without Kitty....*shakes his head* She’s my everything. Jeff: are you guys ever embarrassed of each other? Peter: No. *shakes his head* Logically, knowing me, it should annoy me when she gets scared and shy. But it just makes me angry and protective, not embarrassed. Krissy: Does anyone disapprove of you being together? Peter: *shrugs* I wouldn’t care if they did. Krissy: Do you think this is a long-term relationship? Maybe even one leading to marriage? Kitty: *whispers softly* I.... I hope so. Krissy: *smiles* Last question, guys, then you’re free to go. What would be the perfect outing? Krissy: *grins* Thanks so much you two!